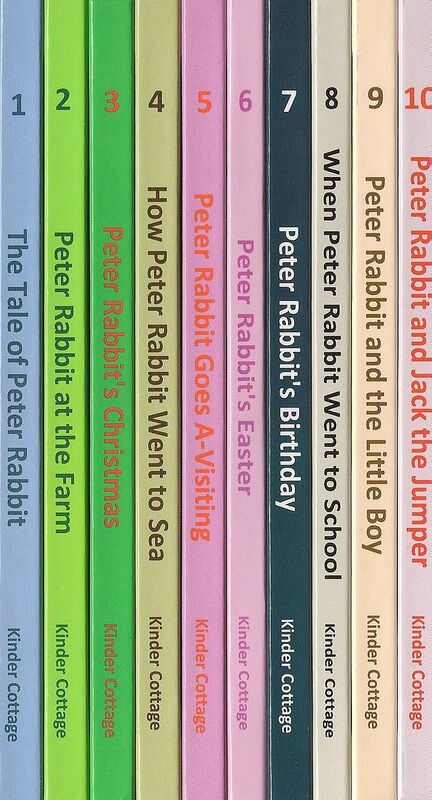 Kinder Cottage Publishing has taken 10 of the original Peter Rabbit stores published in 1917 by the Henry Altimus company and adapted them with updated language for the youth of today. Original written by Duff Graham, the books include the original artwork . Each hard cover book sells for $4.00 and is geared for ages 3-9. These are not easy readers, but will delight the young ones with the illustrations and adventures. 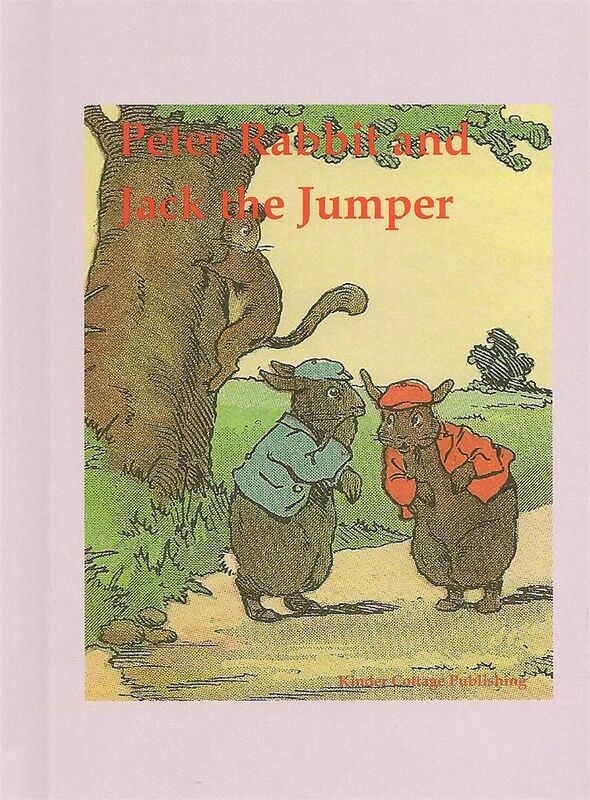 Peter Rabbit and Jack the Jumper is a 60 page, young person sized hardback book. This is number 10 in the series. Peter is a curious, mischievous, attention deficit rabbit! How ever does his poor mother Mrs. Rabbit deal with him? Being the curious rabbit that he is, Peter goes along with Jack, even though Mother told him to stay in the yard while she was gone. Boy do the rabbits get a scare when they are munching on cabbage and they hear a loud voice saying to get out of his cabbage patch! Eeek, I don't want to spoil the story for you, but believe me those rabbits were scared. The next story in the book has Peter Rabbit telling others he isn't afraid of bee hives and in his pride heads over to them. Well you can imagine how that went! He doesn't quite learn his lesson either as he meets up with Billy Bull Frog. Peter has 2 other adventures before heading home. I kind of wish the story was divided in chapters as he jumps from adventure to adventure. It would make it easier for young readers to sit down and just read a short chapter and then come back to the next chapter later. My younger readers wouldn't be able to read the entire book and it is hard to know where a good place to stop is. 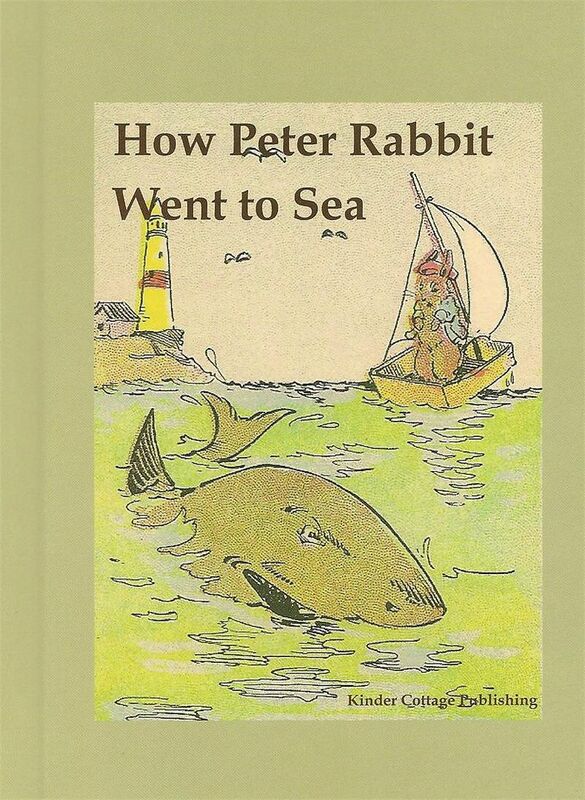 How Peter Rabbit went to Sea is the 4th book in the series. "Flopsy and Mopsy and Cotton-tail were good little girl rabbits, but Peter was a bad little boy rabbit and was always up to mischief". Poor Peter stereotyped from the get go by his mom for being a boy. This kind of made me sad with my house full of boys. Peter is asked to go get some cabbage leaves and he did what he was supposed to, but he was distracted by the green apples that looked oh so yummy, and forgot the cabbage. Poor Peter got spanked and ran off to cry, and his sisters stood there staring at him. Mother left them with instructions to not go near the brook, and of course Peter didn't listen. He wanted to build a boat and go "out to sea". This book had a lot of imagination as Peter was able to get out to the sea and be tormented by a shark and all that went along with his playing pirate. I think it is neat that my kids can read books from the early 1900's and we can talk about how nearly 100 years ago, kids their age read these books. I love how the illustrations are original to help show the capabilities of artists years ago without the use of computer graphics. I also enjoy that each page has an illustration, which helps to keep my younger ones engages while I read. Peter Rabbit in his famous blue coat makes it easy to spot him in the story. We read these once for the review, and perhaps in time will come back and read them again. They would be great go-alongs for a unit study on rabbits, or an even closer look at Peter Rabbit himself. See what my Crew mates thought of the books in this series as we each reviewed different ones, by clicking on the link below.